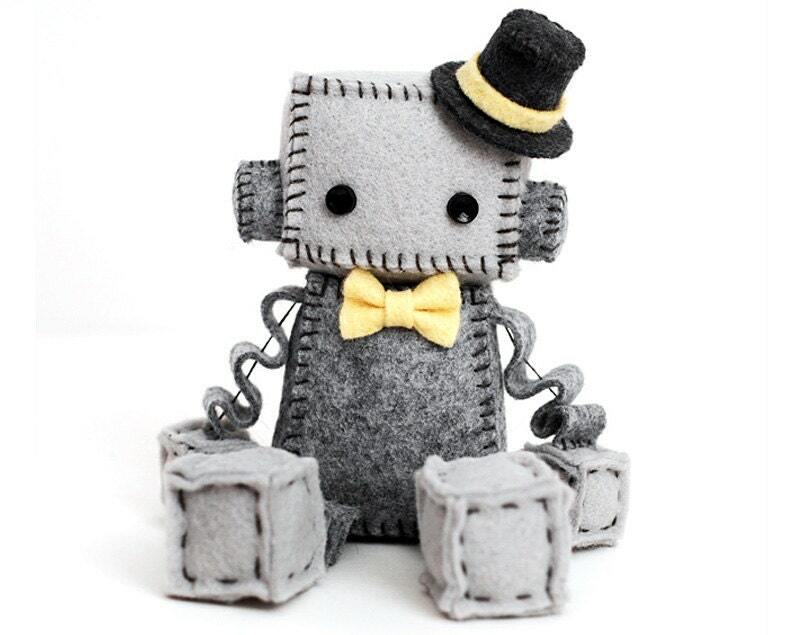 This handsome little plush robot is all dressed up. He is grey with a charcoal grey top hat and yellow bow tie. This robot is about 4 inches tall sitting (not including top hat). He is made of premium wool felt, cotton embroidery floss, plastic button for eyes.